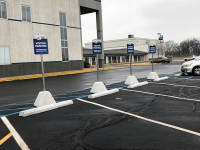 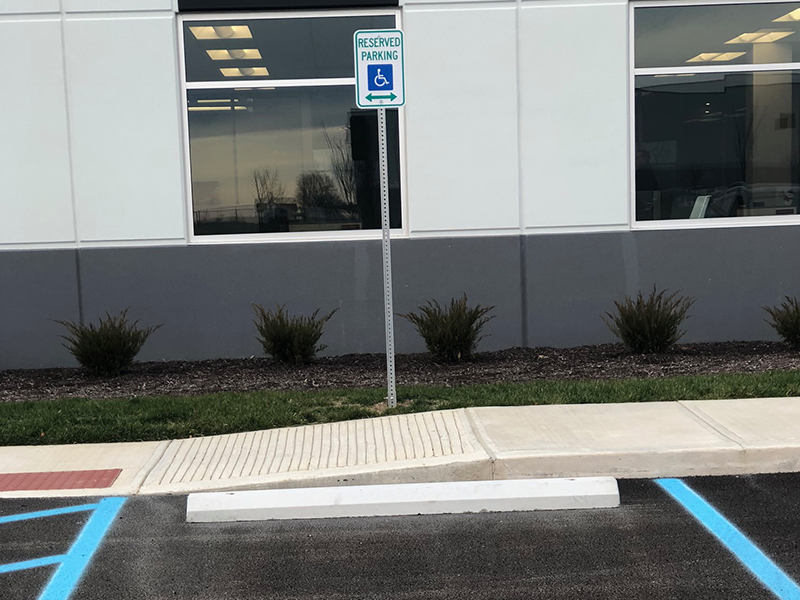 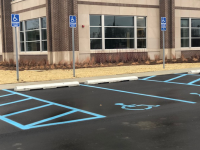 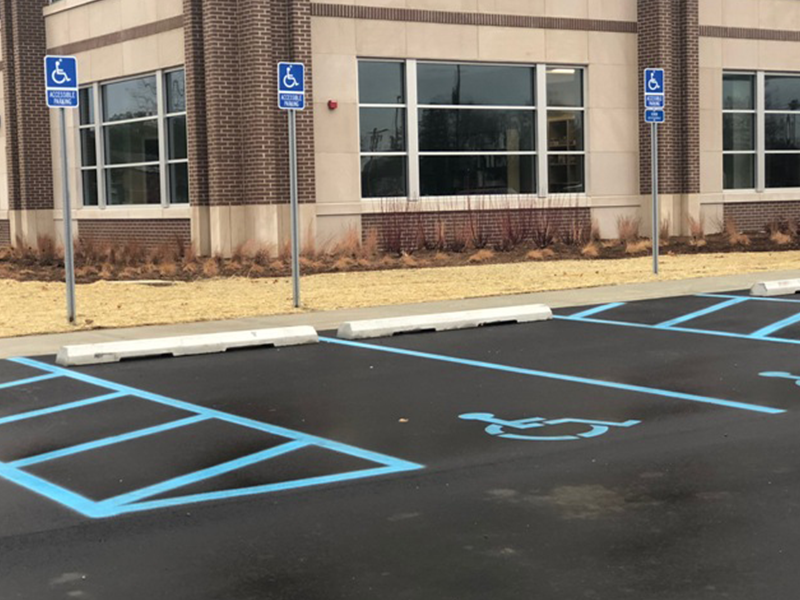 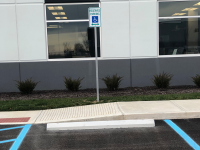 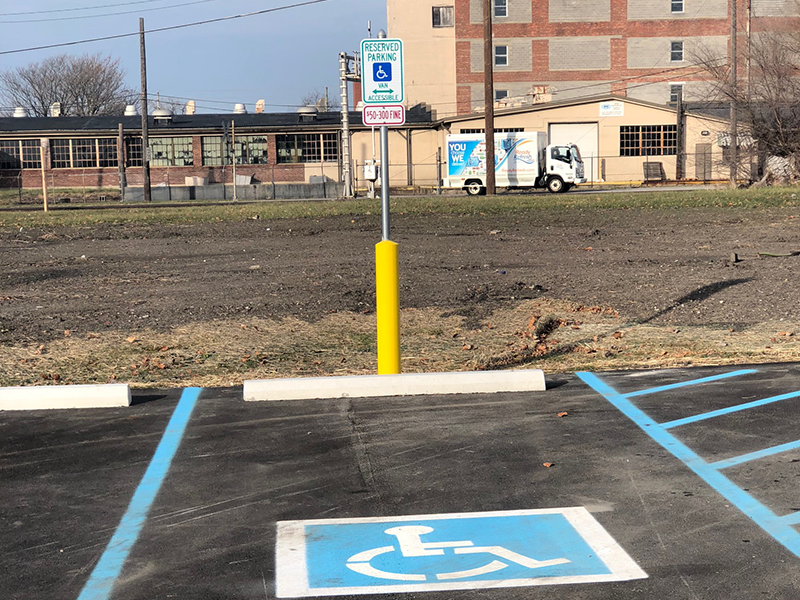 At Indiana Barrier Company we call them parking bumpers, but they are also known as curb stops, bumper blocks, parking blocks, or wheel stops. Regardless of their name, these reliable concrete structures are an important part of any parking facility. 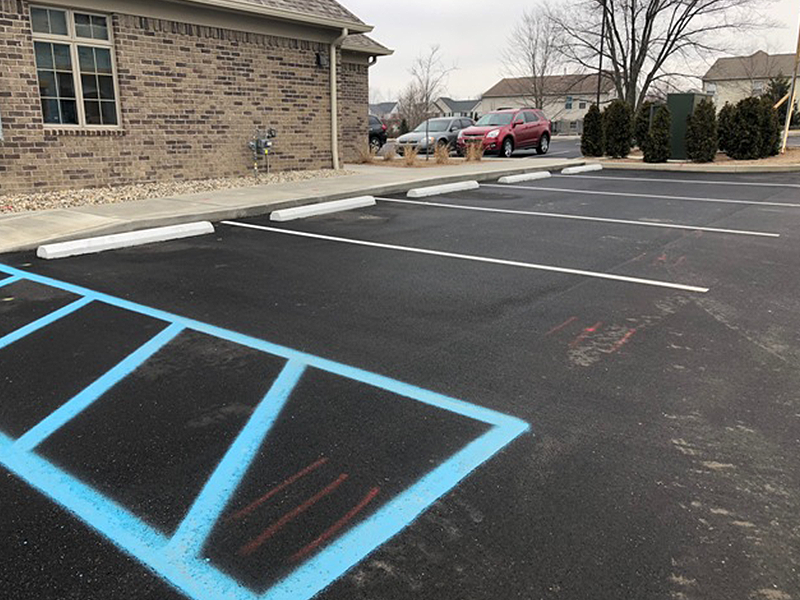 Parking bumpers are often installed in individual parking spaces and are used as guides to help drivers know where to park and how far they should pull into the parking space. They are also used to protect pedestrians, parked vehicles, buildings, fences, signs, and other structures from an accidental vehicular impact. Manufactured with 4000 psi air-entrained concrete. 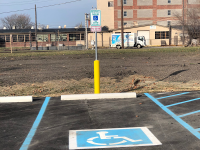 Reinforced to maximum strength by the unique placement of steel rebar. 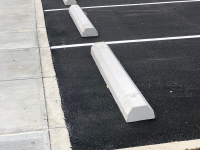 Cast with holes for steel anchor pins.